Uterine Fibroids. 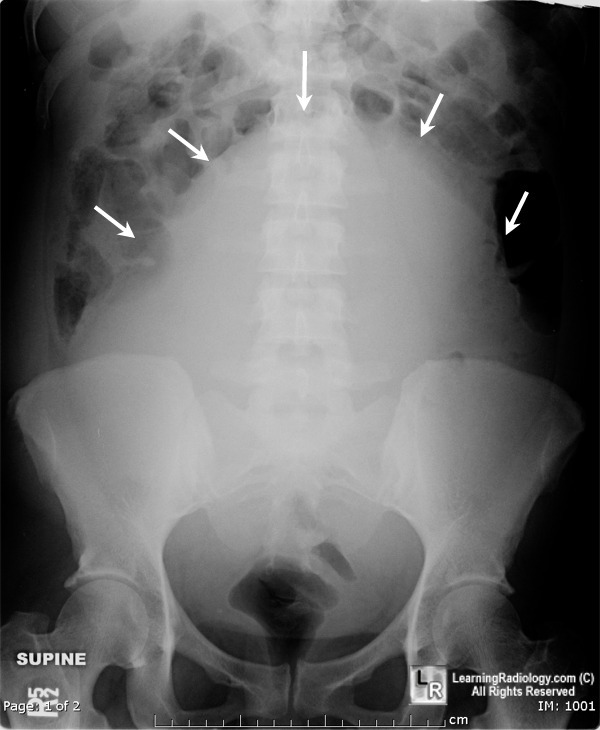 Conventional radiograph on the left shows displacement of the bowel gas out of the pelvis because of a large soft tissue mass (white arrows) arising from the pelvis and extending into the lower abdomen. 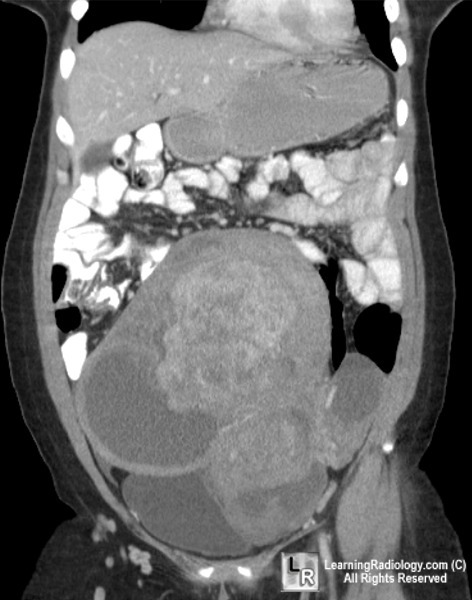 Contrast-enhanced coronal reformatted CT scan of the abdomen on right demonstrates a large pelvic mass comprised of degenerating fibroids (black arrow), hemorrhage (white arrow) and calcification (dotted white arrow). Uterine Fibroids. 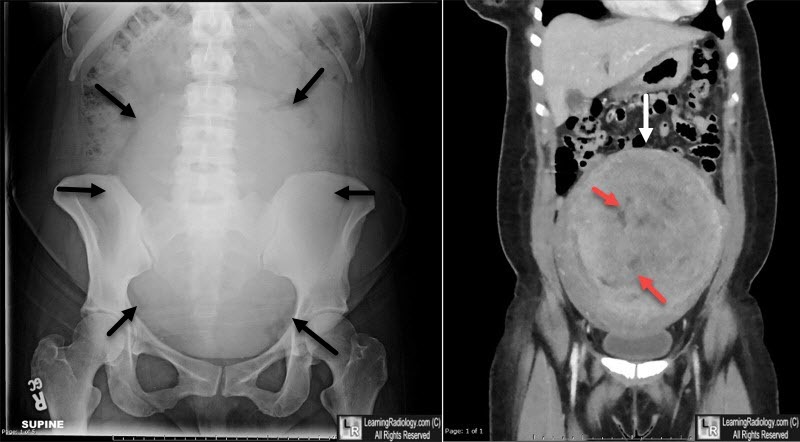 Conventional radiograph on the left shows a large soft tissue mass (black arrows) arising from the pelvis and extending into the lower abdomen. Non-contrast-enhanced coronal reformatted CT scan of the abdomen on right demonstrates a large pelvic mass comprised of a large fibroid (white arrow), with some areas of degeneration (red arrows). For additional information about this disease, click on this icon if seen above.